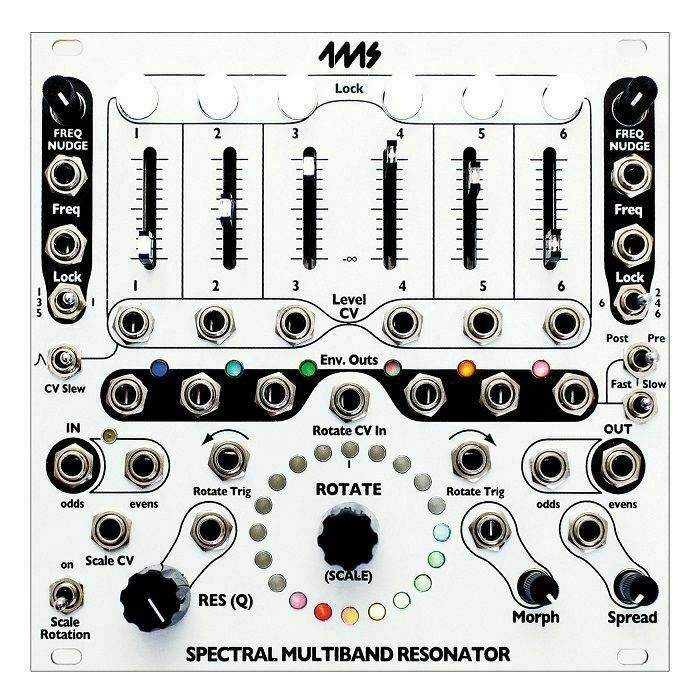 4MS 4ms Spectral Multiband Resonator Module vinyl at Juno Records. - Save your settings in one of six parameter banks. Note position, scale and bank selection, Q value, Lock settings and color scheme can be saved and recalled on the fly. On startup, the SMR loads settings from the last saved bank. - Optional alternative filter type for a more exponential decay when plucked and different timbral qualities. Freq jacks no longer track 1V/oct in this mode. - Slider LEDs can be assigned to display level for each channel (combination of slider position and CV on the jack), or clipping for each channel.